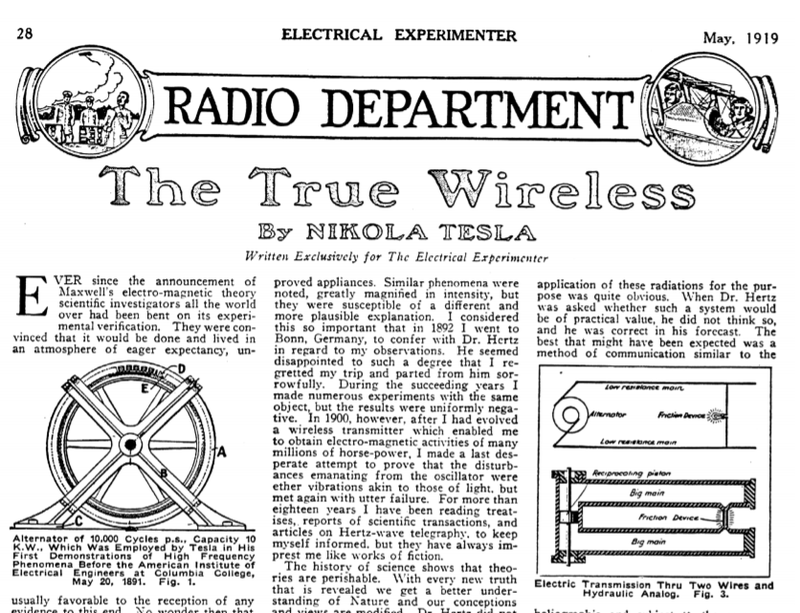 While searching the internet for a subject to write about I stumbled upon an interesting article by Nikola Tesla written for The Electrical Experimenter entitled "The True Wireless". I thought I had heard of all of Tesla's articles or at least glanced at them, but this one was new to me. It contains some very interesting information about the difference between Hertzian or transverse waves and what Tesla called scalar or longitudinal or standing waves. There is also some good information on Tesla's one wire and wireless systems of transmitting energy. It's a great article and well written and explained. If you never could understand what a scalar wave is, then maybe this analogy will help... imagine a very long pipe filled with an incompressible fluid. This pipe runs from New York to London. If you press on the water in New York and move it one inch, it will immediately also move in London one inch. That is exactly how a scalar wave works - Tesla would send out his scalar wave and it could be immediately detected miles away or even on the other side of the globe. I think sometimes as a society we start out using the wrong technology, implement it worldwide, and then it is hard to take a step backwards and do it over again the right or better way. Take radio for example - wouldn't it be better to be able to transmit signals instantaneously to any part of the world with just one tower? Tesla could do just that. He could do it with any signal like electricity or TV or radio. Just think - no more power cables, no more cable TV cables, and no more aerial radio antennas - your antenna would be a plug into the Earth. Did you know there was a connection between our 41st President George H.W. Bush and Nikola Tesla? Any good Tesla fan has probably heard of George Scherff (George H. Scherff Sr) who was Tesla's personal assistant or private secretary. Well, the theory goes that George H.W. Bush is actually George Scherff Sr's son. And it goes on to say that George H.W. Bush has ties to Nazi Germany including Hitler and Joseph Mengele. 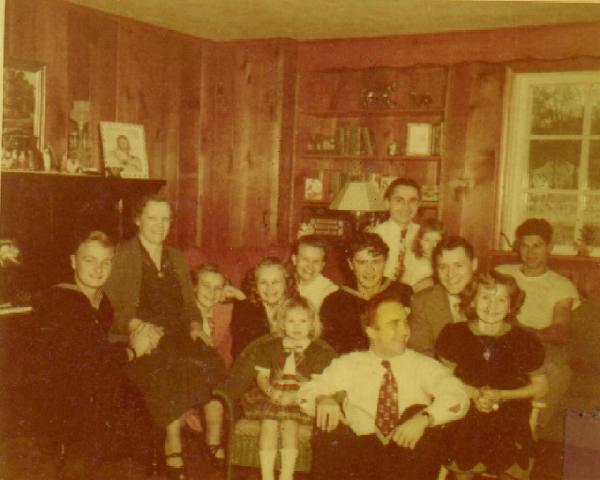 Mengele is actually in the picture with Bush. Bush is (supposedly) the one in the German Navy uniform. Sure looks a little like him to me.